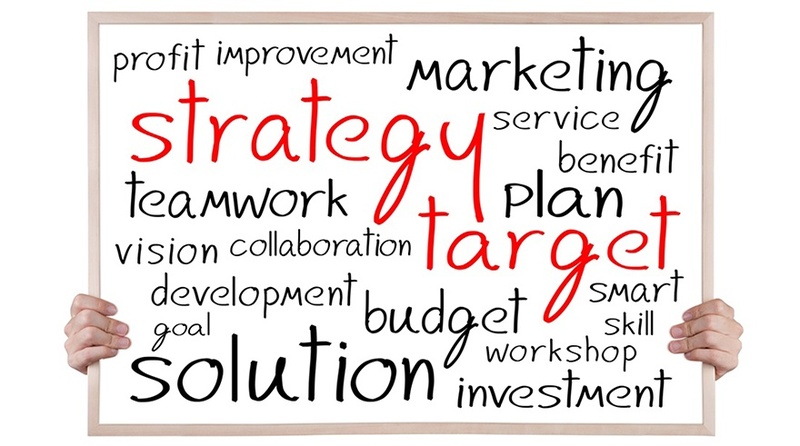 A decade ago, Martin Corboy and Diarmid Corrbui identified the main pitfalls of a successful strategy implementation in their article entitled “The Seven Deadly Sins of Strategy Implementation. “ In broad lines, these are still the reasons for which over two thirds of companies fail in the implementation stage of their strategies. Remember Steve Jobs back in the 90s with his whiteboard and turtleneck? He was able to draft a great strategy on a board in only 5 minutes but more than just drafting it, he had an amazing ability to plan execution. A can-do attitude coupled with a strong communication plan are vital to bringing strategy to life. Below, we explore the seven deadly sins where communication is indeed a common theme. ONE | The strategy is not worth implementing. Many senior leaders fall into the trap of defining the so-called utopia strategies which euphemistically are called challenging or ambitious. However, in most cases, businesses cannot rely simply on faith. A strategy needs to be realistic while long-lasting and innovative; otherwise it will not get the support of key players in the business and consequently nobody will hold the torch. TWO | People are not clear how the strategy will be implemented. In most cases, once the baby is born, there is a lot of enthusiasm to see him grow, and parents seem to forget the next steps needed for success. The energy and time dedicated to the implementation stage of a strategy are always scarce when compared to the development. Besides, weighing the lessons learned from previous implementations, defining priorities, timeframes, resources, expected return, potential risks and overall impact on structure and people are paramount to a successful execution. THREE | Customers and staff do not fully understand the strategy. Internal buy-in of the strategy is vital; communication on a ‘‘need to know’’ basis and secrecy are malign. Explain, show, communicate, make your strategy visual and easily digestible and then do all these again and again – make sure your teams know what it is about, why it is important and how it will affect them. Customers, suppliers and other external stakeholders should also be targeted in the communication plan as ideally the whole business ecosystem needs to be aligned. FOUR | Individual responsibilities for implementing the change are not clear. Slice the monster into small pieces – people should be given clear and specific responsibilities to roll out the strategy, with a strong, clear and consistent leadership. Empowering people is essential, as a successful implementation relies on a wide sense of ownership, commitment and responsibility. FIVE | Senior leaders step out of the picture once implementation begins. Sell, sell, sell – and then sell again. As a leader, you cannot assume for one moment that things are now just falling into place naturally. Tracking implementation with visual communication aids, rewarding key players for successful execution of key milestones and keeping engagement levels to the max are just as important as developing a good strategy. Once you stop doing it or give any indication that the implementation is not a priority, all the work behind may just fall apart. SIX | The ‘brick walls’ are not recognized. Inevitably, brick walls will pop-up as nothing ever goes exactly according to plan. In times of trouble and uncertainty it is essential that the brick walls are acknowledged and addressed. People should be reminded not to suffer in silence and be encouraged and empowered to approach the obstacles with an open mind. SEVEN | Forgetting to “mind the shop.” Business as usual must go hand-in-hand with the implementation of the strategy. Actually, a good strategy should become part of the everyday business and not managed separately. Inertia and resistance to change are strong enemies of a successful implementation. In many situations, strategies live and breathe in different forms in the leaders’ minds and are never written down in a simple, easy-to-understand form. Mission and vision statements become “the strategy” and in most cases, people fail to relate the actions, projects and decisions that are made to these vague statements. 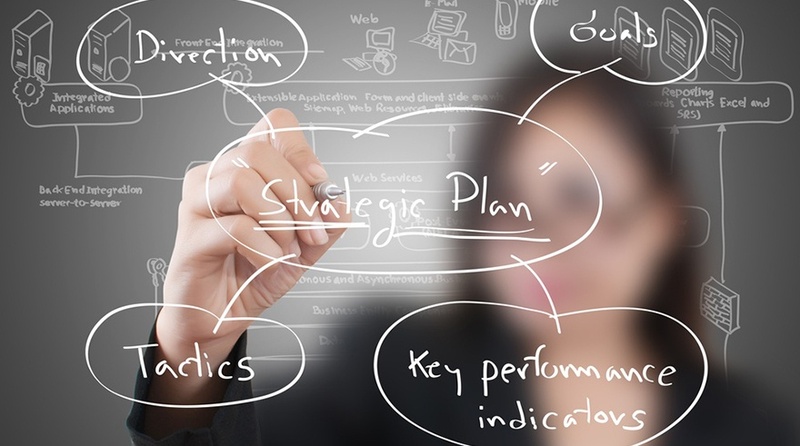 If you are implementing a strategy, illustrate it on a board and then communicate it. Visual communication is key to strategy development and implementation, and the concept of strategy on a board has proven to be the most successful in the past years. It’s not only a powerful visual representation of the strategy but an excellent working instrument to make sure things are actually happening. This content was originally posted by Bi-silque here. We have republished this content with their permission.